You know what I think is one of the biggest differences between people who are successful and people who are not? I remember good 'ol Dr. Phil saying once, (don't laugh because YEAH I used to watch that show!) you have to "name it before you claim it." I mean think about it … the most you'll ever get is what you actually ask for. If you don't even know what you want, then how can you get it? 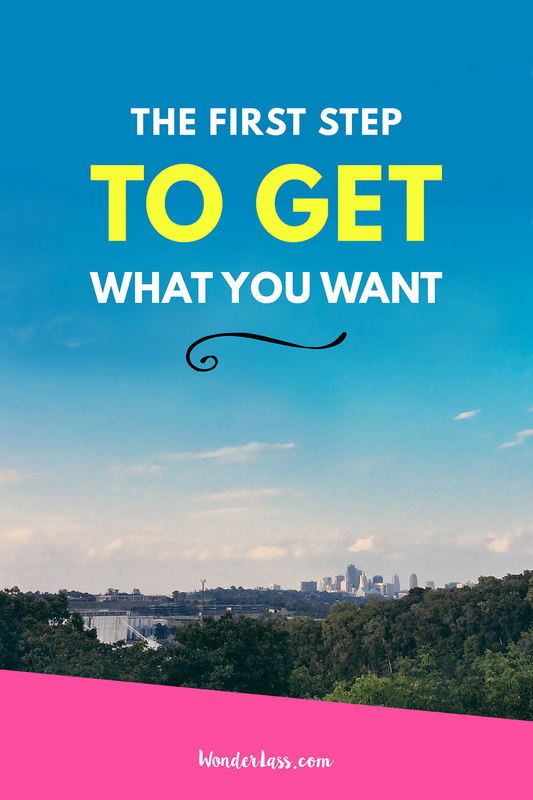 KNOWING what you want is the first major step to actually GETTING what you want. If you don't have a goal in mind for yourself, then how can you go after it? I mean … you can't. Ask a lot of people what they want in life and I bet a lot of them will say, "to be happy." But do they actually think about WHAT will make them happy? It's too vague to just say "to be happy." That can mean a million things! But when you take the time to actually think about real, tangible goals and ideas that will make you happy, THEN you're getting some where!!! Many people confuse activity with productivity. But just being busy doesn't mean you're making progress! If you're offered the "perfect" job but it doesn't fulfill your deepest needs … well … then it's kind of a waste of time for your happiness. You need to ask yourself, "WHAT is important to me and WHY?" And then envision what your life will be like once you have it. Because you WILL get it. You just have to know what you want. That's the first step!!! It sounds so easy and obvious, but it's so often overlooked. Developing a dream chasing mindset is an essential part in getting what you want! What do YOU want? Think about it, it's really kind of fun.